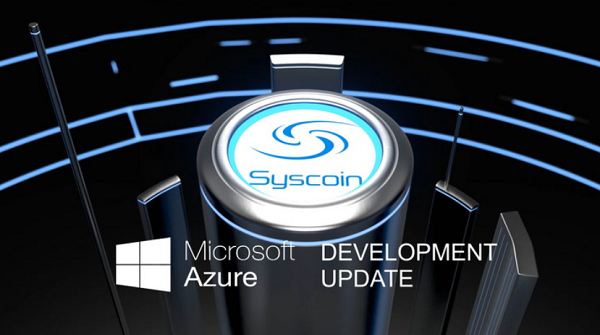 April 30th 2016 - Syscoin 2.0 is Live! 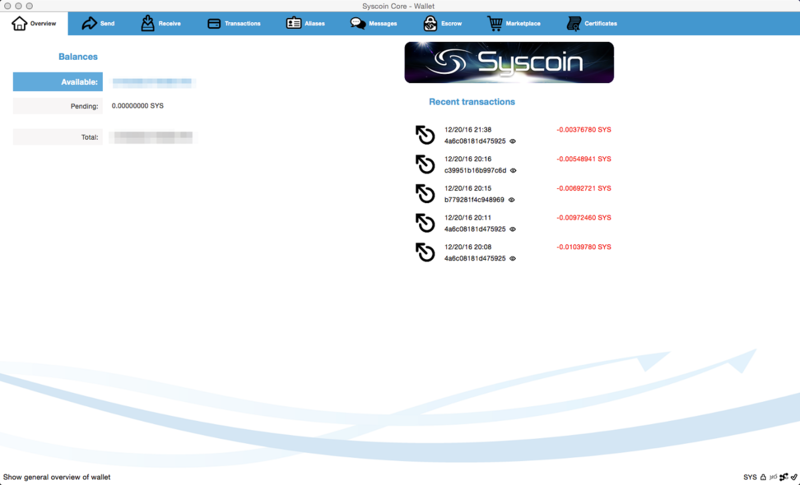 February 29th 2016 - Syscoin 2.0 Final Public Beta Now Available! 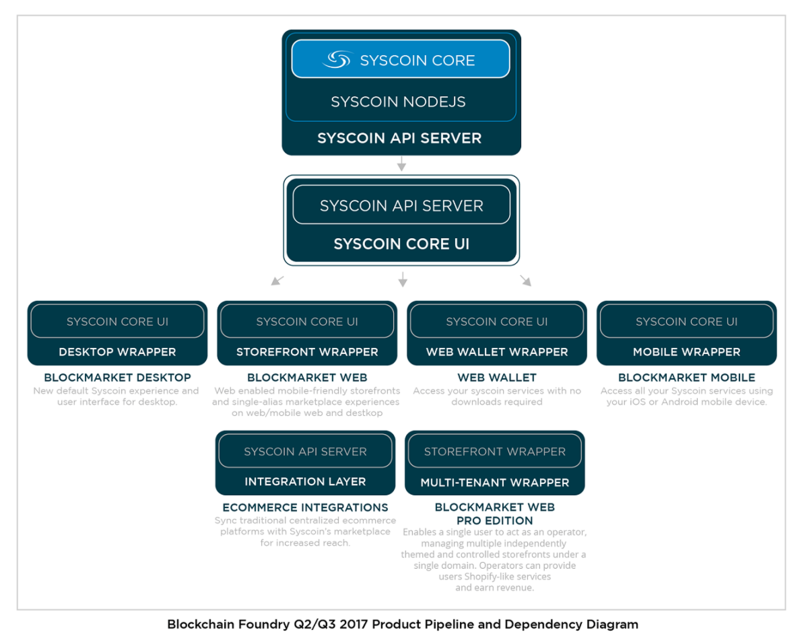 ⚒ Syscoin - 2.1 Whitepaper released! 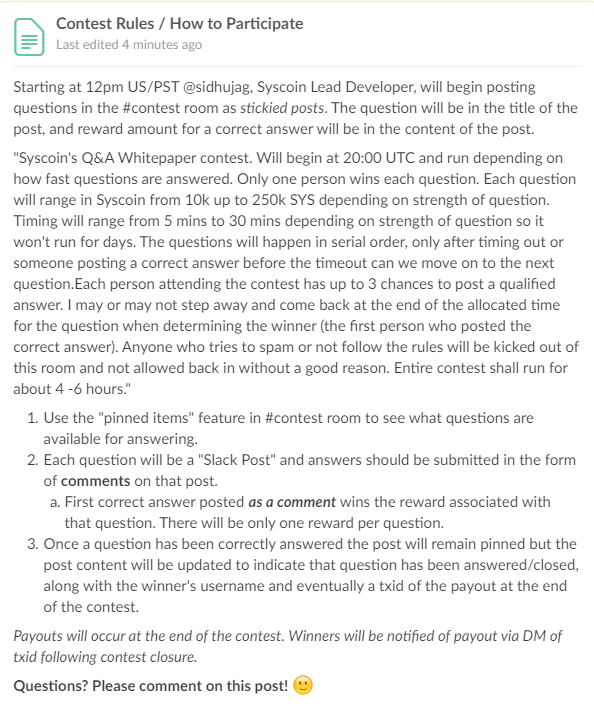 Contest info posted, win SYS! 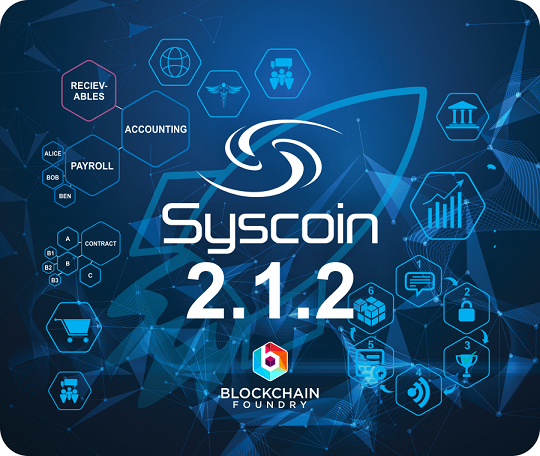 We’re excited to announce that today we’re releasing the Syscoin Core 2.1.3 with Segwit fully activated in line with the timeline communicated in our last post. This release is a MANDATORY update. 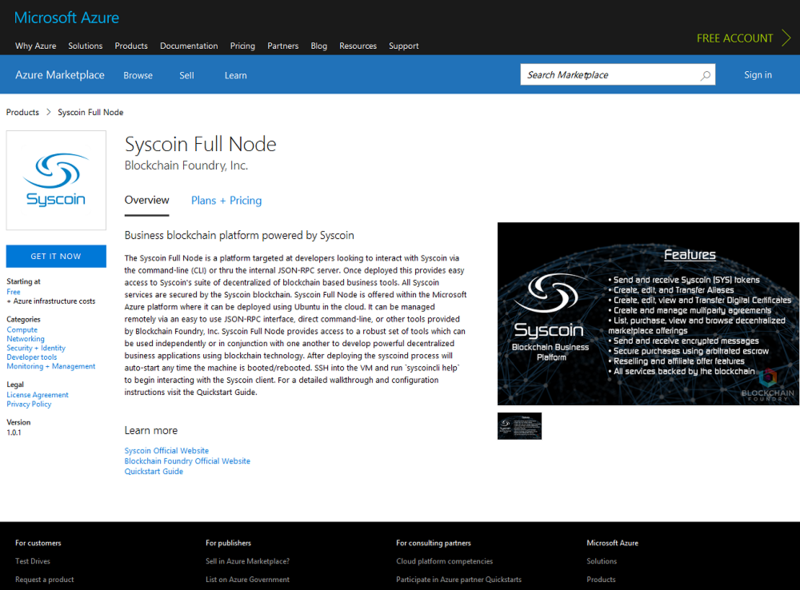 In addition to this new core release we’ve also had a suite of product offerings powered by Syscoin, built by Blockchain Foundry certified and released to the Microsoft Azure Marketplace. 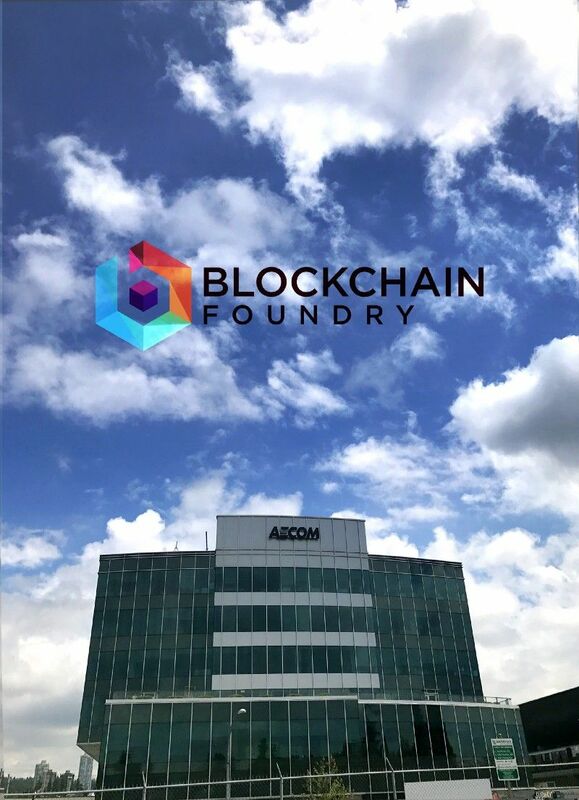 For more info, please see the Blockchain Foundry Blog where most of our updates will be posted going forward, as explained in our last post. 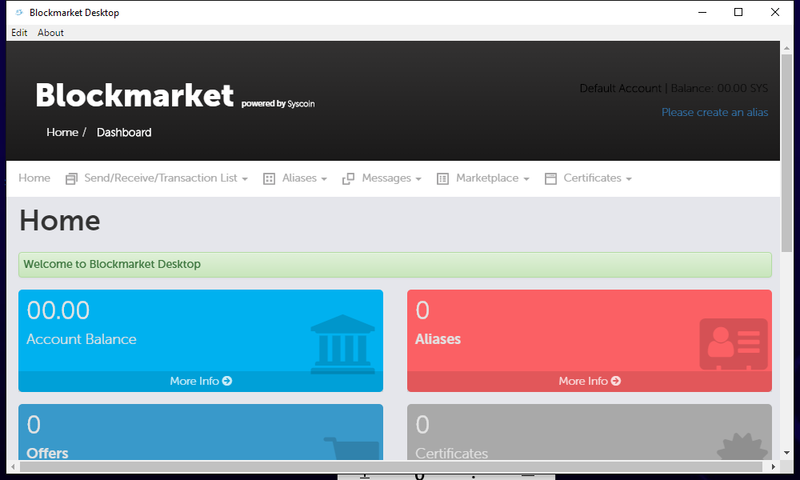 Announcing Blockmarket Desktop Beta 4! 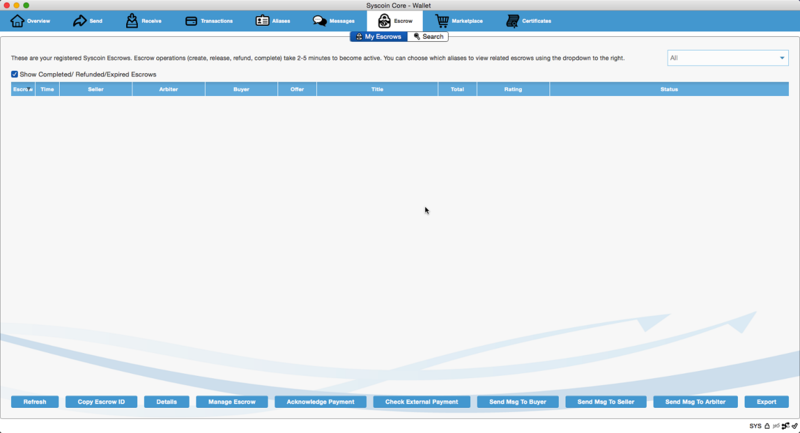 We are pleased to announce Blockmarket Desktop beta 4! 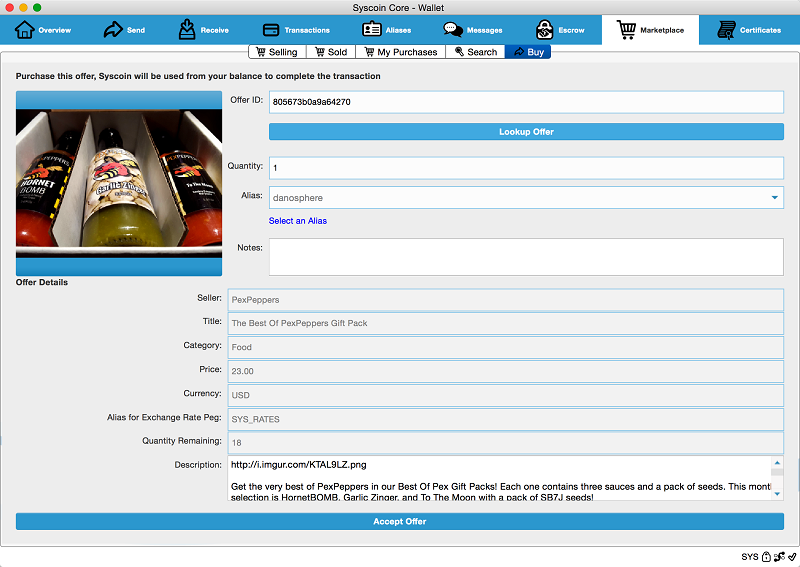 You will find many improvements in this wallet as it gets close to our release-quality bar we set on the onset of development. 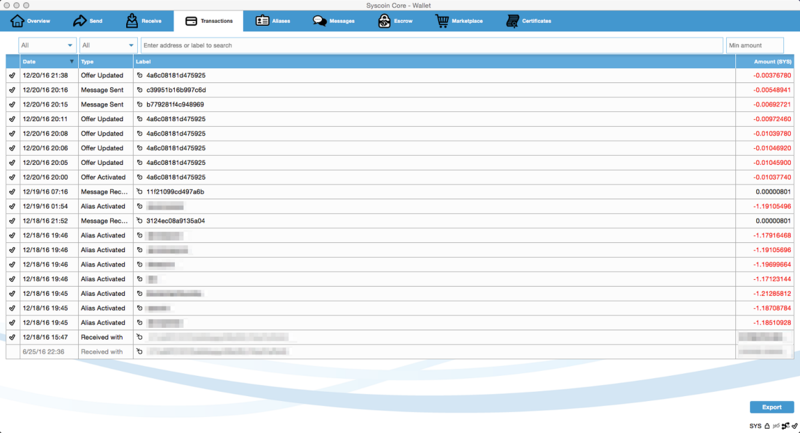 We would like to reach a target of 80% in terms of bugs fixed on our bug list before we release BM Desktop to the public on mainnet. Beta 4 fixes a majority of the high-priority issues reported thus far. 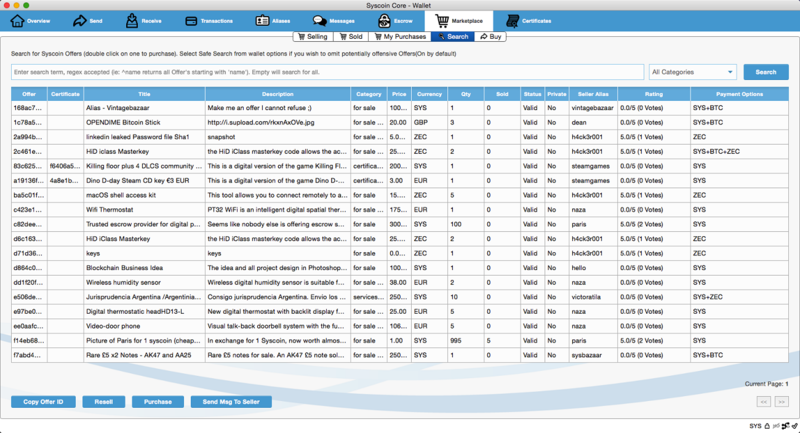 We hope to achieve 80% target with this release as we continue to pursue a security audit on the finalized code. 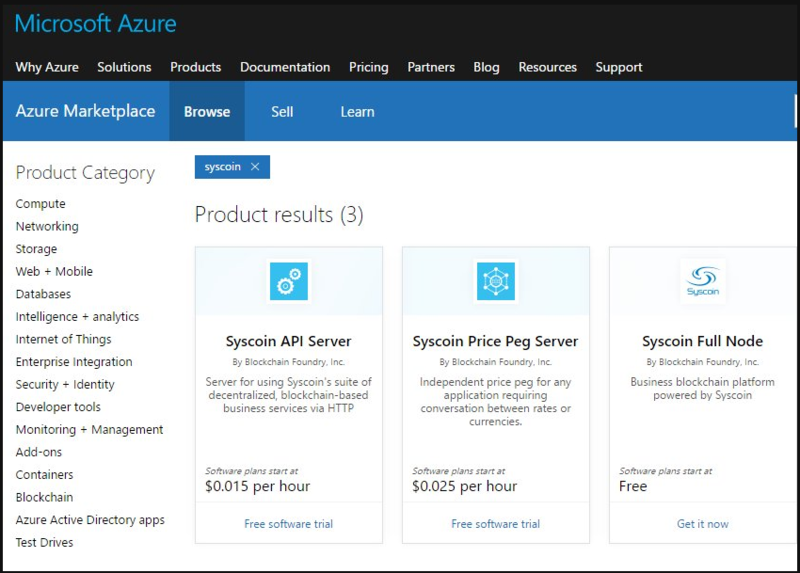 While the community is working through the [list of fixes](https://github.com/syscoin/blockmarket-desktop-public/issues?q=is%3Aissue+is%3Aopen+label%3A%22retest+in+beta4%22), we are working on integrating paging, scrolling and categorized views, escrow and encrypted wallet support. 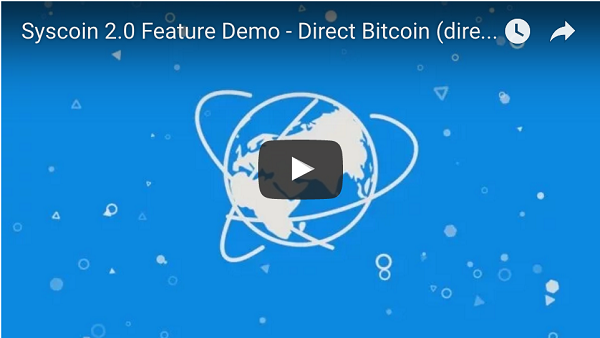 Beta 5 will be feature-complete and barring any major showstopping bug, we will be on the way to releasing our latest major commercial product for Blockchain Foundry! 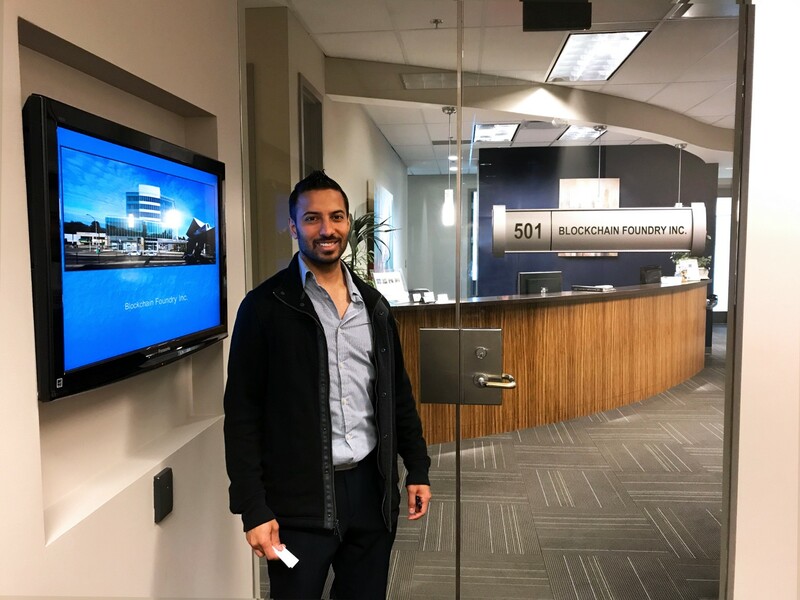 We are pleased to provide a business update to the community with some exciting news about our team, working arrangements, office space and some new team members who will be joining Blockchain Foundry. 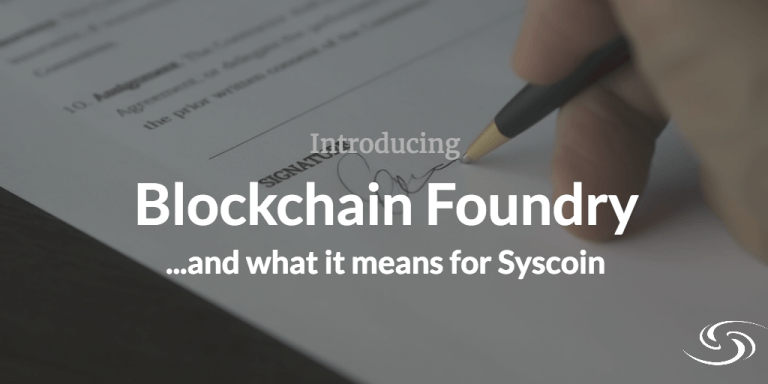 Recently, both Jag Sidhu and Brad Hammerstron committed to working on Blockchain Foundry and Syscoin on a full-time basis with Willy Ko committing to three days per week. This is a huge step forward for the whole team. We expect it to have a materially positive impact on our overall pace of development and allow us to roll out new products much more quickly than in the past. 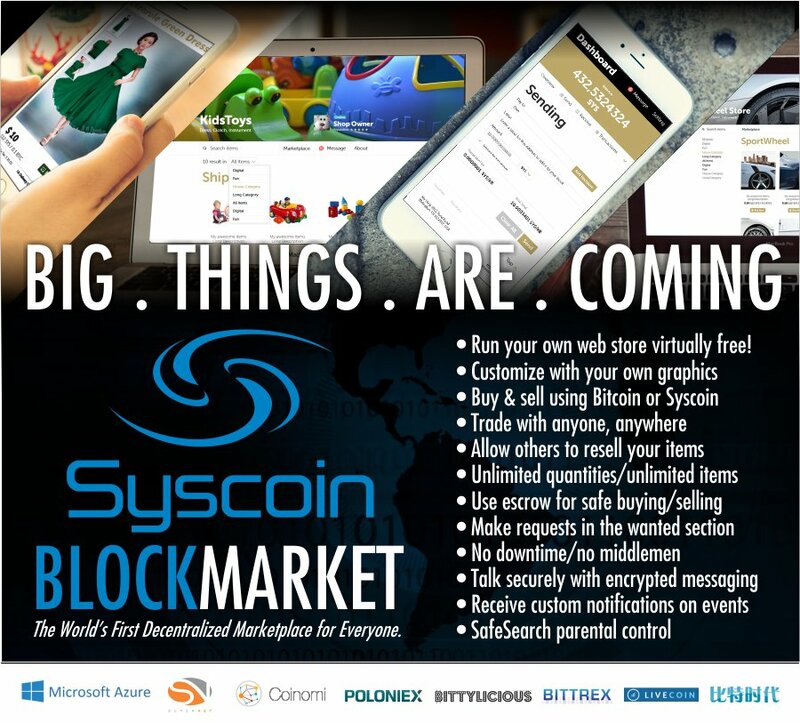 Syscoin has more than just Multisig suppport. 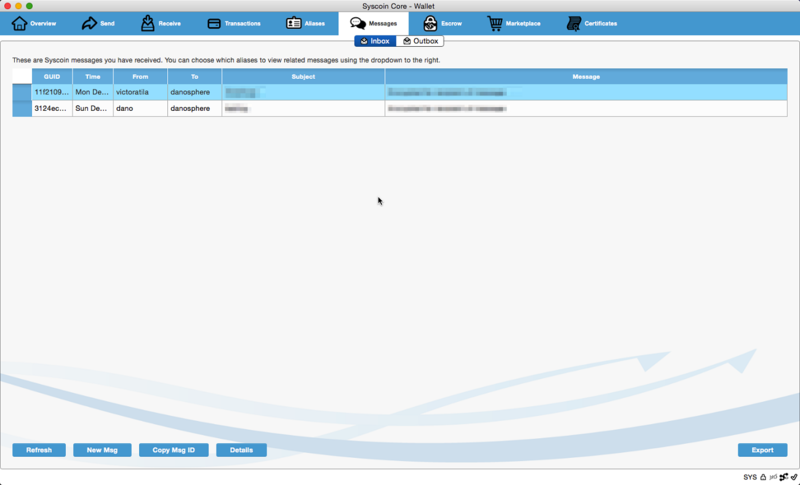 Control money, data, documents or departments with account controls. 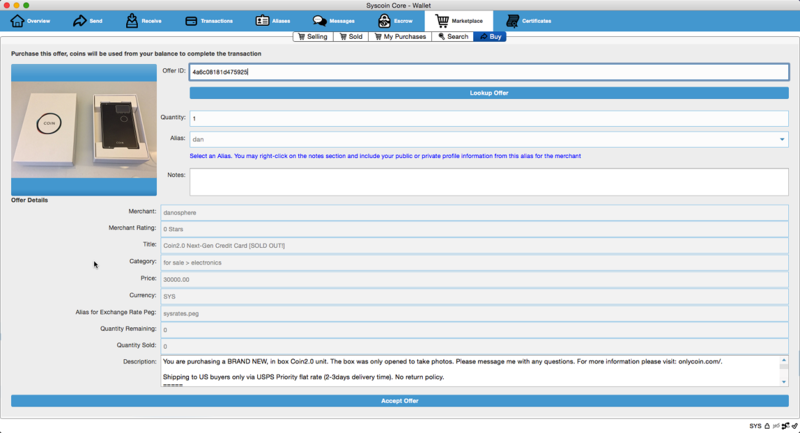 Blockmarket Desktop Beta 5 Released! 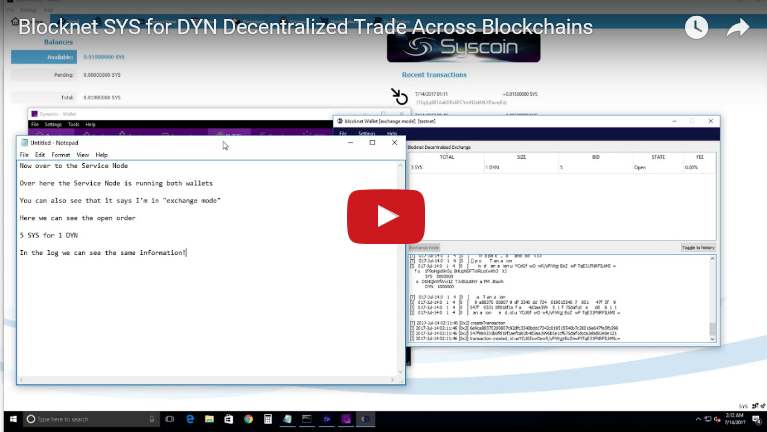 DYN/SYS trade across blockchains on @The_Blocknet Decentralized Exchange!